I've had such a hectic week. Between Jake's messed up ankle, and Mims's holiday vacation schedule, and an unpleasant bout of food poisoning, I have been doing good just to get up in the morning! But today Mims went back to school, and Jake's napping on the couch, and I'm finally feeling normal again. We had to make a trip out to the feed store today to get the chickens more food, and while we were there we thought, "Hey, let's get a bale of straw for the coop!" LOL!!! As a city girl, I didn't fully comprehend how large a bale of straw actually was. They weigh a hundred pounds, y'all!!! So we decided to leave with our little 25 pound sack of chicken feed, and go back for the straw when we can borrow my dad's truck. And Jake's ankle isn't broken. The chickens like their wood shavings, so it wasn't a big deal, but we're planning to expand their run and it would have been nice to have the straw ready to go. On our way home we stopped by the library to drop off some of the books Mims read over her vacation. 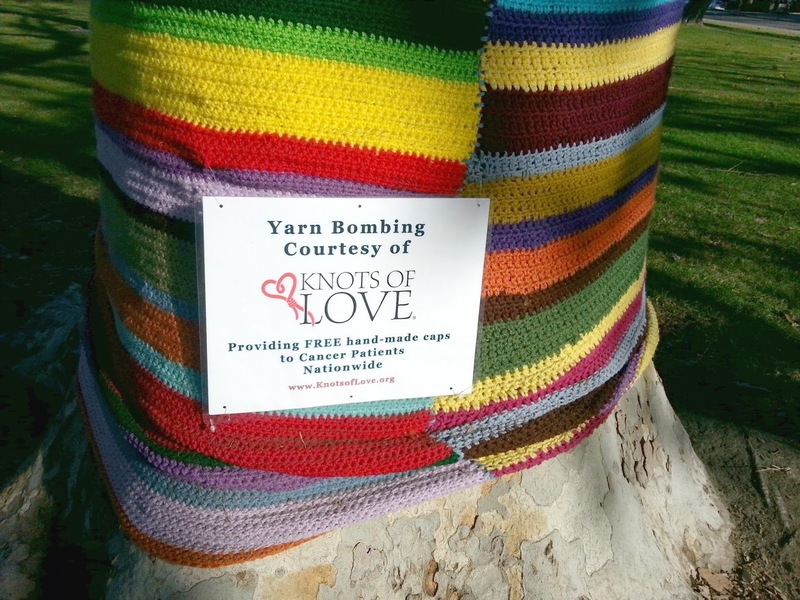 I used it as an opportunity to shoot some pictures of the yarn bombing that a group from Knots of Love did in early December. 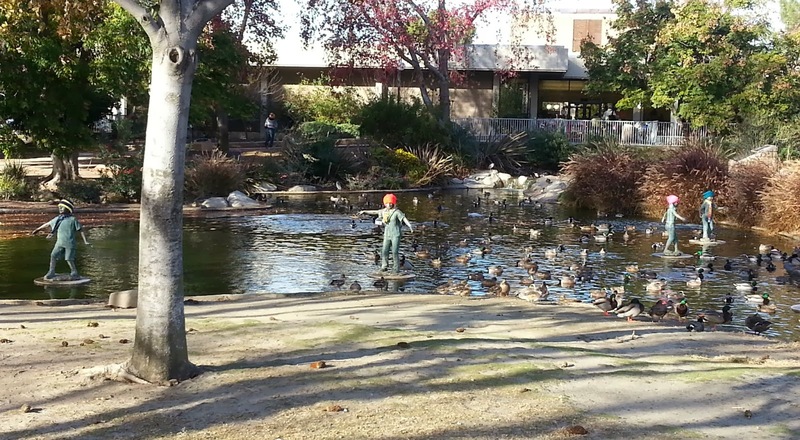 I love that they put hats and scarves on the statues of the children playing in the pond!! I admire the brave soul that mucked through the pond water to get out to them, that pond is so nasty. I'm glad that the city has decided to leave is up for all of us to enjoy. 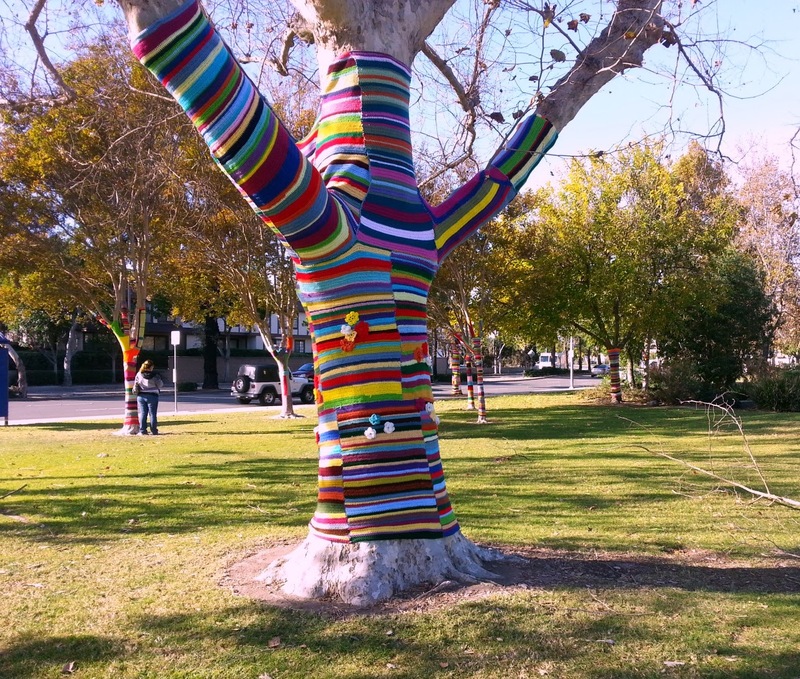 I think it makes the park look so festive and friendly.